Help! My Carpet Can't Take Much More of This! 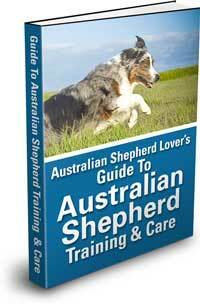 When it comes to house training your puppy sooner is definitely better! So what can you do to help your puppy succeed with potty training? First of all don't be in a rush. I know I said "sooner is better" but it's still going to take some time. If you are in a rush you are likely to get frustrated. If you get frustrated you are likely to get angry with your puppy and we don't want that. The most important factor in successfuly house breaking your puppy is YOU! You will have to provide your puppy with the guidance she needs to learn. Once you have your potty training plan you will have to make sure it is followed and that it is followed consistently. Dogs are generally clean and don't like to soil where they eat and sleep. This is called the "den instinct". You know your whole house is your "den" but to your puppy it is a huge place full of many perfectly good spots to go to the bathroom. Start by making your puppy's world a smaller place. Enclose an area where your puppy can enjoy her time eating, sleeping and playing. This should preferably be on a flooring surface that is easy to clean in case of accidents. You may even place sheets of newspaper down in part of this area as a designated bathroom area. Encourage your puppy to go on the newspaper when you see they have to go. Here's a housebreaking tip. When you clean up the newspapers don't take them all out and replace them with fresh ones. Leave a sheet or two that has the urine scent as dogs generally will go in the same place they have gone before. Just place a few fresh sheets on top to keep it clean. However, don't rely on the newspaper to house train you puppy for you. This is only a temporary measure with the real goal being to teach your puppy to go outside. This is where you come in. You have to pay close attention to your puppy's needs when you are housebreaking. Did they just eat or drink? Have they just been playing for a while? Did they have a nap and are waking up now? They are going to have to relieve themselves soon. Take them to the place in the yard you would like them to use. This is a tip that many people may overlook. When you take them to "the spot" always follow the same path. This will begin to create an association between the path and what happens at the destination. Once you have arrived you may have to patiently wait for your puppy to do their business. Choose a command word or phrase and repeat it so this also becomes part of the familiar pattern. When they do finally go praise them lavishly immediately. Aussies are smart and will quickly associate successful completion of their mission with good times and the positive attention from you. It doesn't really matter what command you settle on just make sure it isn't something too embarassing to say when the in-laws come over for a bar-be-que. Just make sure you use the same phrase consistently. Consistency is the key to success with housebreaking. Repetition is the way we learn and it's the same for puppies. Hand in hand with consistency is attentiveness. You have to know before your puppy does that she has to go outside to the spot. Get into a routine that starts first thing in the morning. You know your puppy will have to go then. Don't be to affectionate when you first see your puppy in the morning. (I know that will be hard.) Just wait until after you have taken her out and she has gone in the right place. Then you can praise her and let her know what a great job she did. Now you can go inside and it's time for breakfast. After breakfast, guess what? Back to the spot, success, more praise. Time for a nap. She wakes up. Back to the spot. Praise, praise and more praise. Your puppy will soon like going the that spot and it won't be long before they "get it". 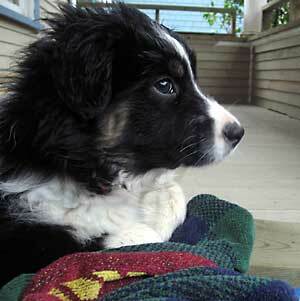 This approach to housbreaking relies on you being aware of your puppy's needs. Always know what they are doing and where they are. Don't let her run around the house unsupervised. When housetraining you want to maximize successes and minimize mistakes. Remember, if there are mistakes it's usually your fault. So no punishments for housebreaking mishaps. No yelling. No jumping up and down. Besides your puppy won't understand what your problem is anyway. They won't make the connection with your anger and peeing on the carpet 20 minutes ago. If they do make a connection with your anger and bathroom functions you will likely cause a setback and delay housebreaking. Your puppy may then hide or sneak off to do their thing if you have created an association with fear. If you catch them in the act of going in the wrong place or they come to where you are and just start going on the carpet you can say "NO!" in a stern voice to let them know that what they are doing is not appreciated. However, you should immediately pick them up and take them outside. Get them to walk the path to the right spot if possible. If you caught them quick enough and they still have to go more be sure to praise them when they are done. Forget about the mistake, it's done, get back to success and praise. Just be sure to clean up the mess thoroughly as dogs will tend to return to an area that still smells of urine. The more attentive you are and the more successes your puppy has the quicker the housebreaking process will work. Another approach to housebreaking is crate traning. It is similar to this approach but the enclosed area is smaller where the puppy is confined to a crate for short intervals. Crate training can be very effective but care needs to be taken to ensure that it is being used properly and humanely as a training tool. There is no substitute for you. You are the center of your puppy's world and they are more than happy to try to please you. It is your job to show them how. It's up to you to repeat the lessons until the pattern is set. Housebreaking might be a bit of work at the beginning because puppies really need to go to the bathroom a lot, but your persistence and patience will pay off. Be attentive to your puppy's needs, be consistent, use lots of repetition and reward success with enthusiastic praise. Best of luck to you, your pooch and your beleaguered carpet.